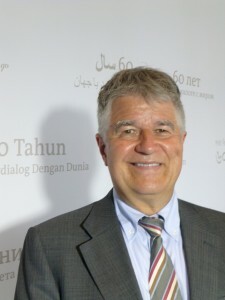 Klaus Bergmann has been director of International Relations at Deutsche Welle since July 2012 and head of DW’s EU representative office in Brussels since 2009. After studying law at Münster University, Klaus Bergmann first worked as a lawyer before becoming human resources officer at the US international broadcaster Radio Free Europe in Munich. In 1991, he became head of the Human Resources Department at DW in Cologne and two years later took charge of the administration of DW’s production facilities in Berlin.